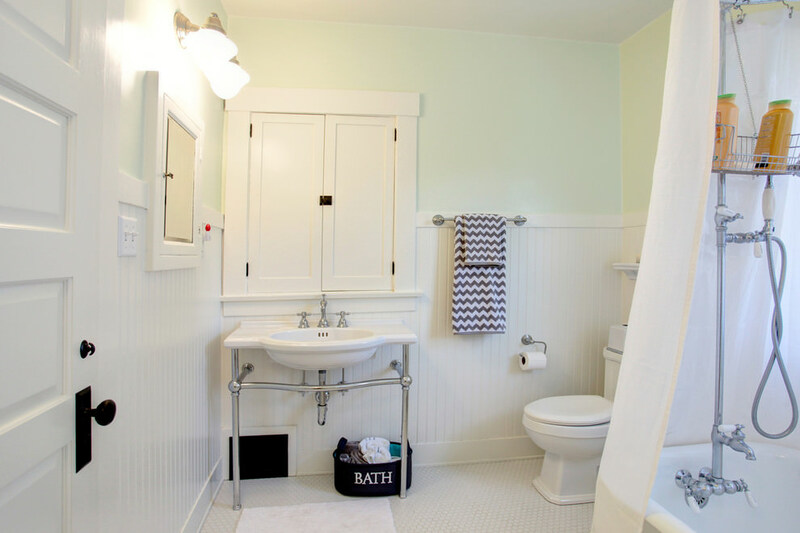 Decorating your house with a farmhouse or a country side style is a great idea. 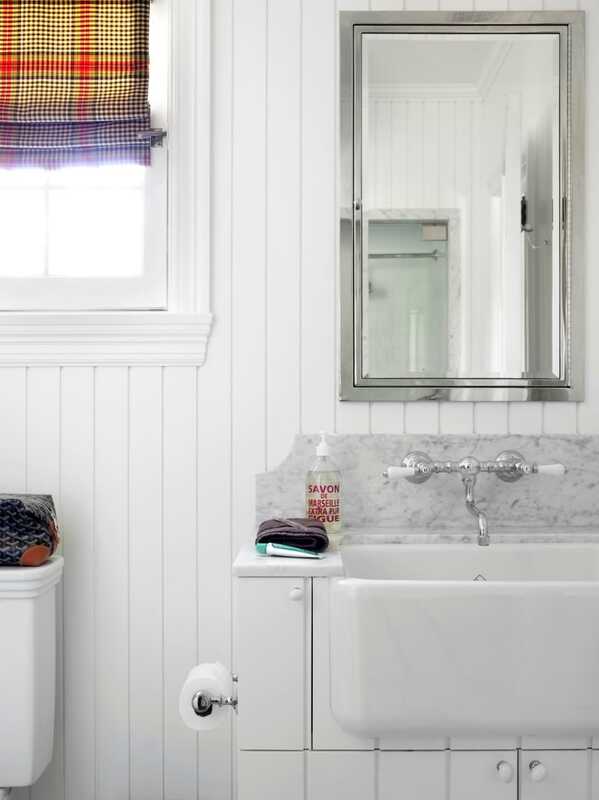 It adds a touch of traditional style that can bring back the vintage vibes to your bathroom. 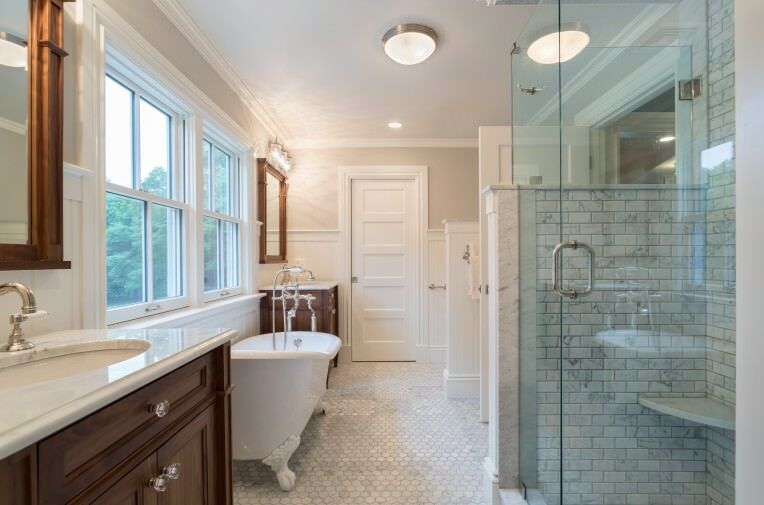 There are a large number of bathroom designs that have the farmhouse style blended with some of the modern decor. 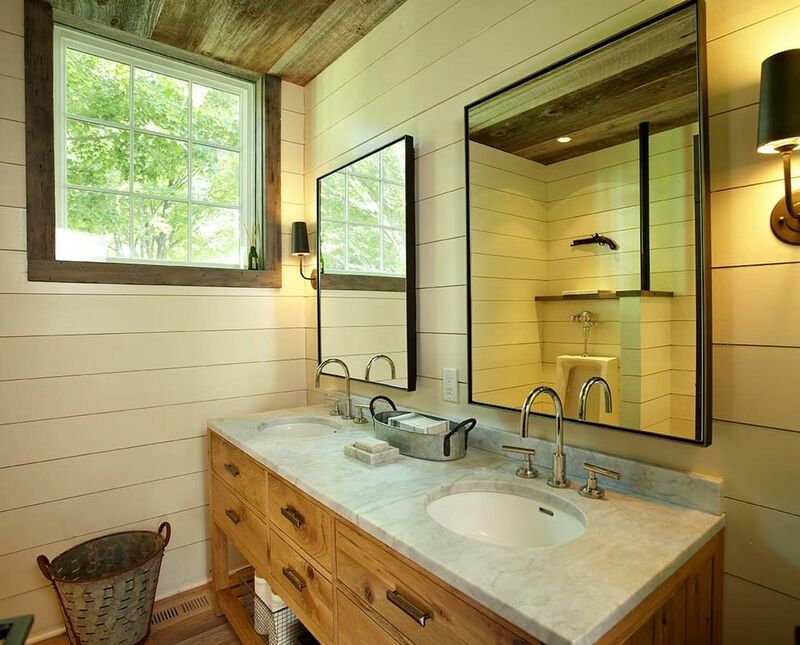 Farmhouse bathrooms do not require a lot of work to be done. 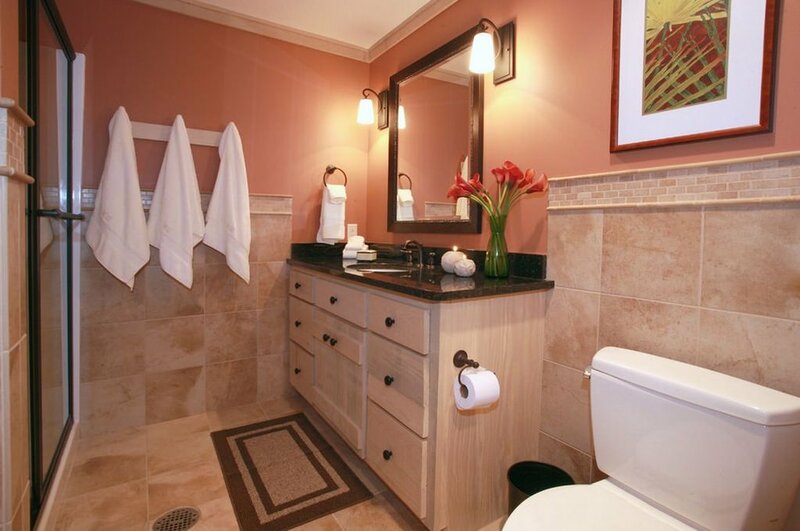 They are stylish and comfortable. 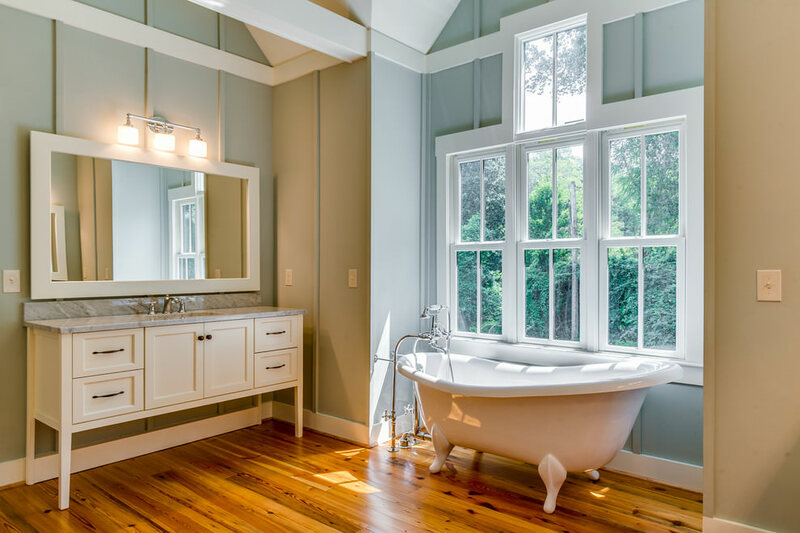 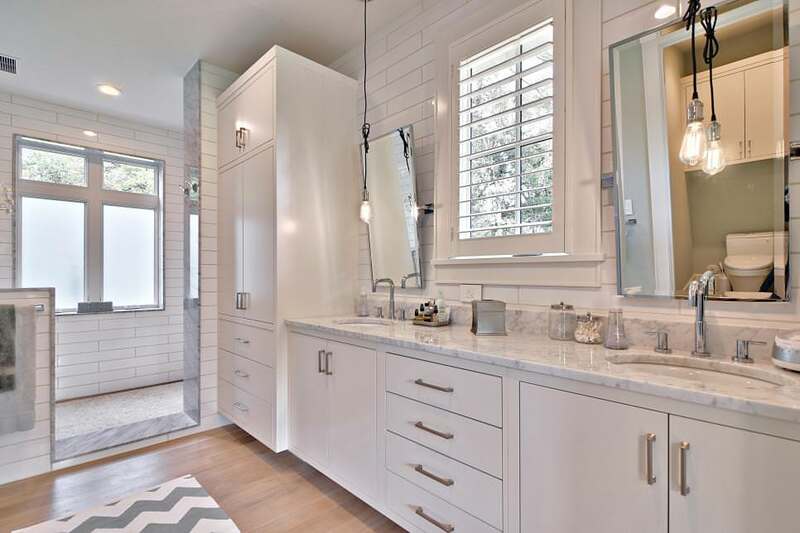 An ideal farmhouse bathroom would be something like an under mount sink, a large tub, a shower in the corner and a wall-mount toilet with light colored hardwood flooring. 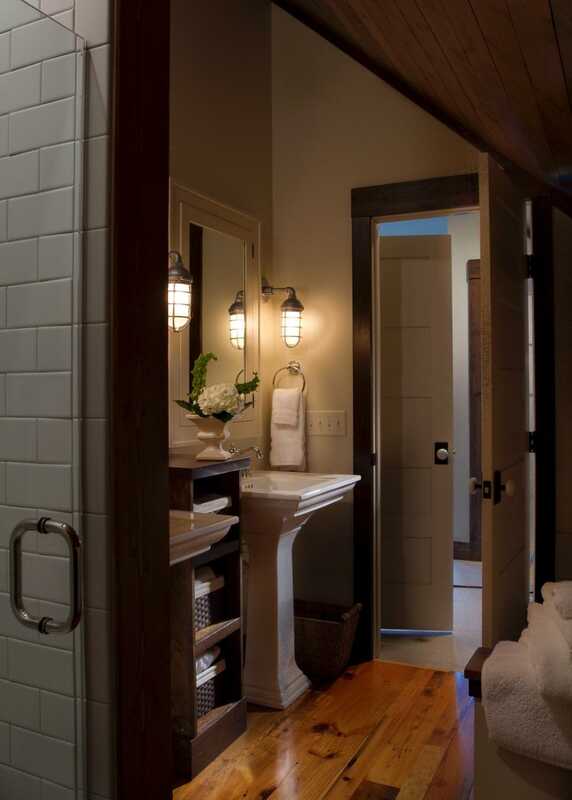 Farmhouse style bathrooms can range from a variety of designs. 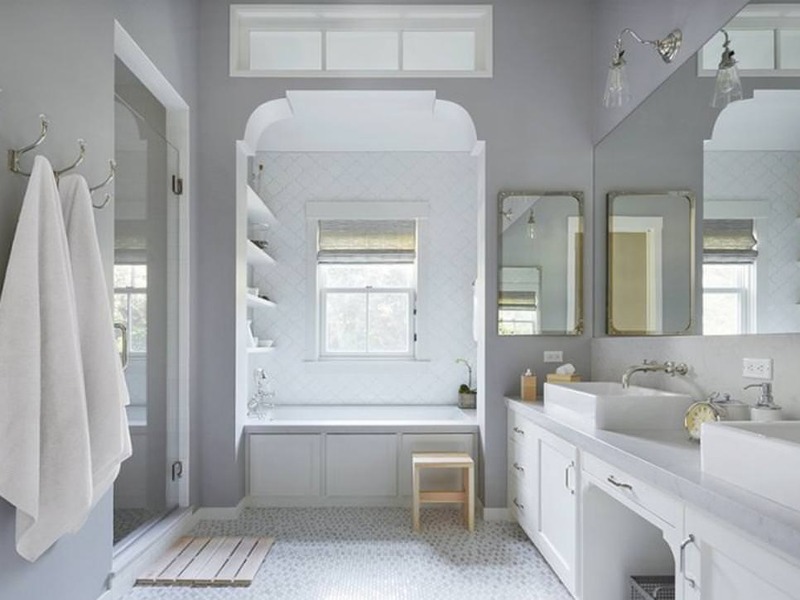 It could be of a mid-west farmhouse that is beautifully filled with antique pieces or a bright and sunny New Hampshire bathroom design that encompasses cheerful vibes inside the house. 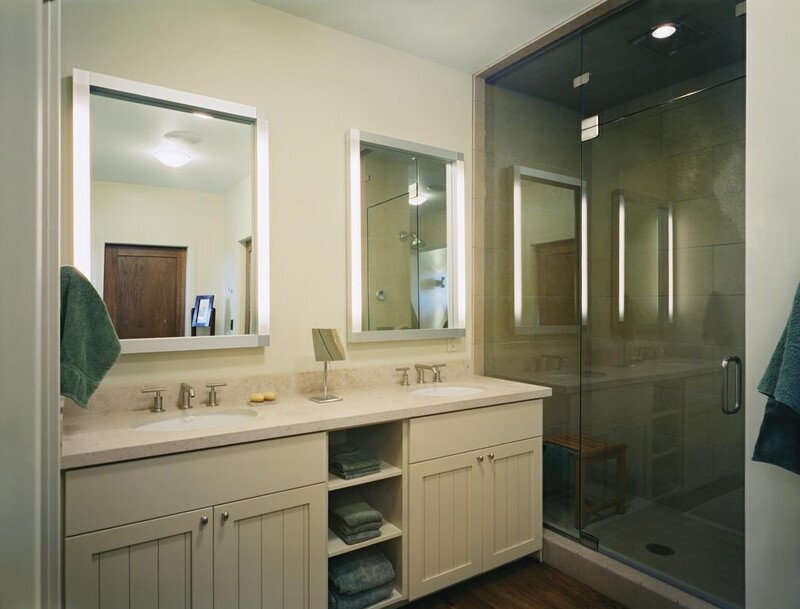 One should keep in mind the space restrictions, the cost of materials required and budgetary deals before choosing the designs. 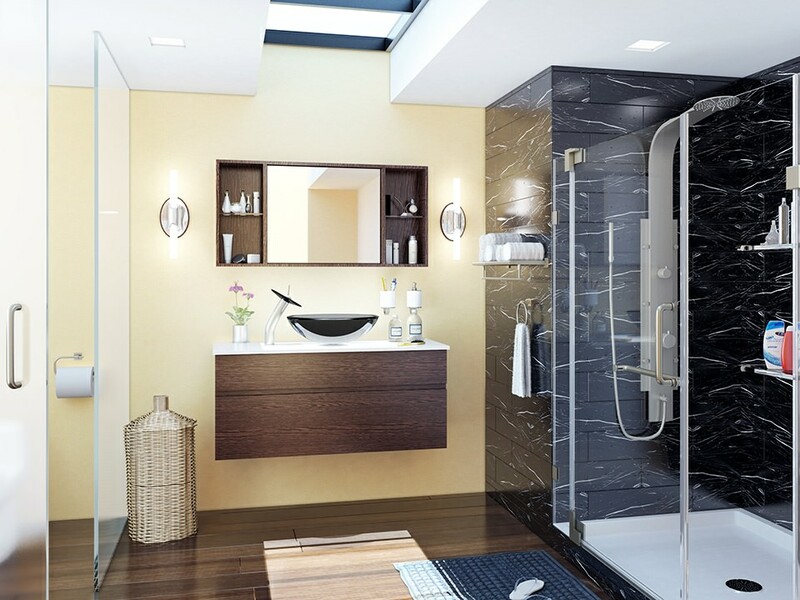 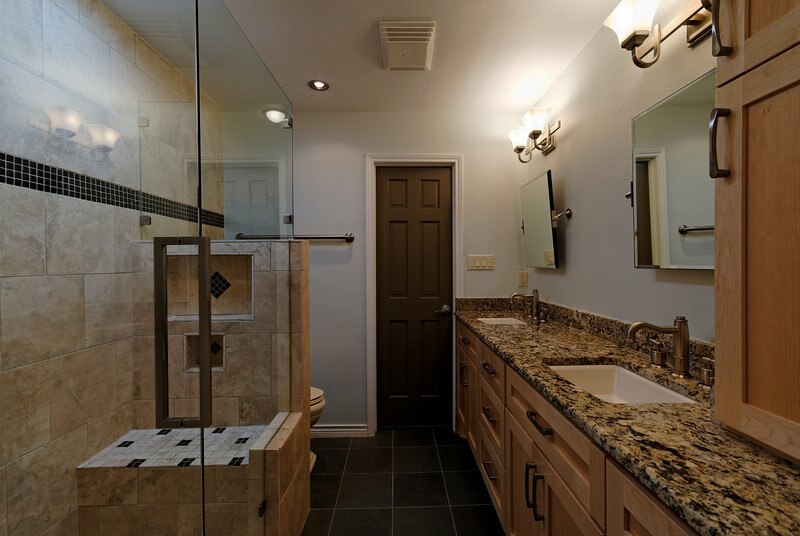 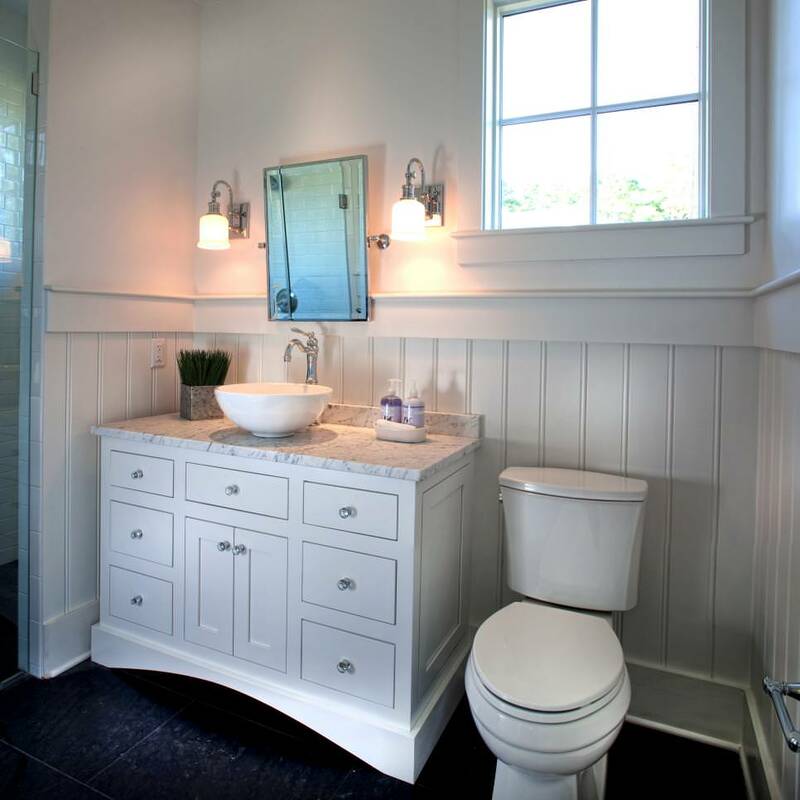 Countryside bathroom designs are great and are most apt in houses with contemporary and a traditional touch. 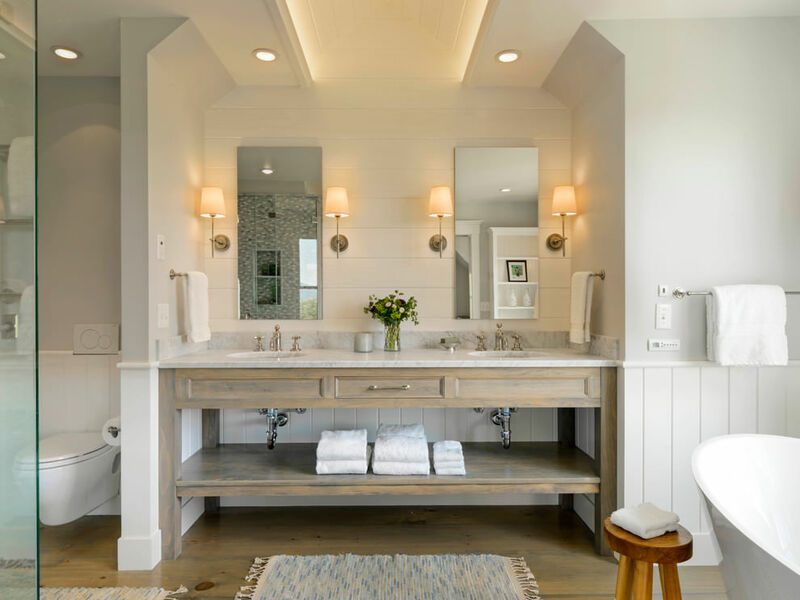 One can add few things that add the farmhouse appeal to a house, in the bathroom area, such as bead boards, cabinets, tiles, shelves and so on.